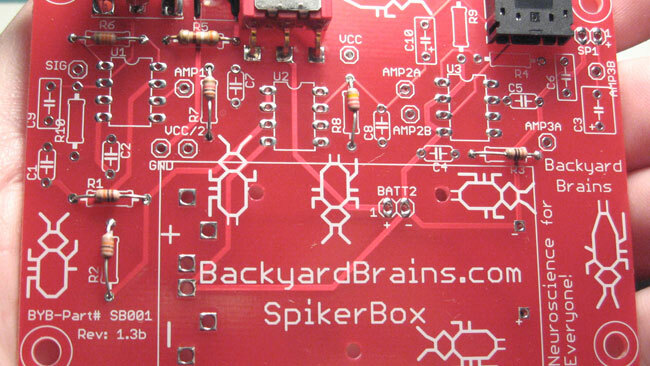 Here are the instructions to assemble your very own Neuron SpikerBox from the Neuron SpikerBox Bag of Parts! If you haven't already, you can order it through our product page. 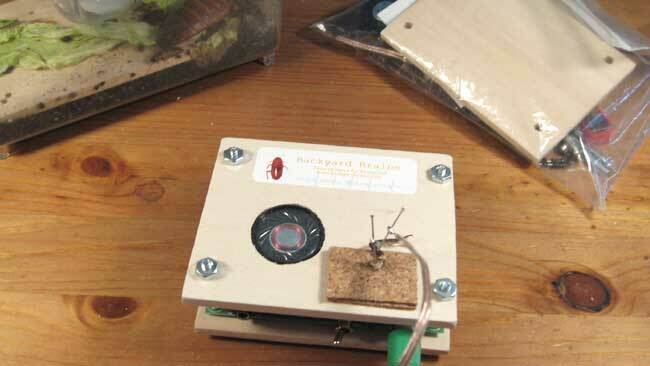 You can also read about the invention from our recent journal article in PLoS. 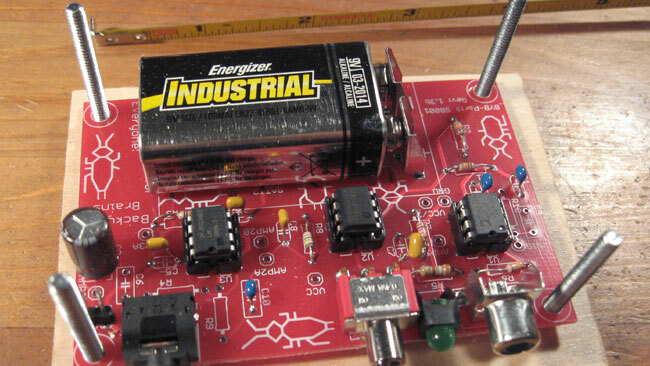 Depending on your comfort with electronics, it takes 1.5 hours (electrical engineer) to 4 hours (complete novice) to build. Just want a handout of instructions? We got you covered. 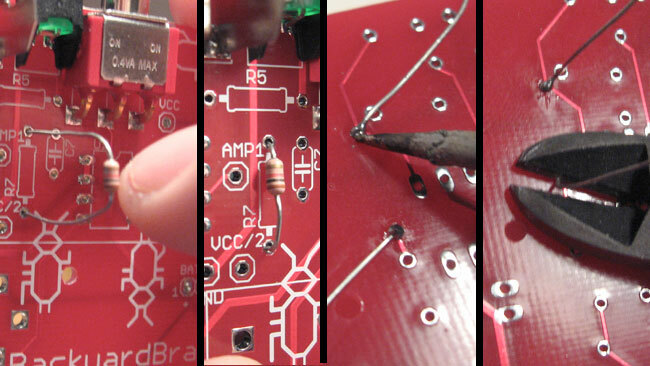 Assembly will be done in 3 steps, in this first step we will assemble the PCB board. Below you will find the step-by-step instructions. Navigate through each step until your board is complete, then move on to part 2. If you prefer, there is also a video. Let's begin building your bag of parts! In part 1, we will assemble the PCB. What's in the kit? 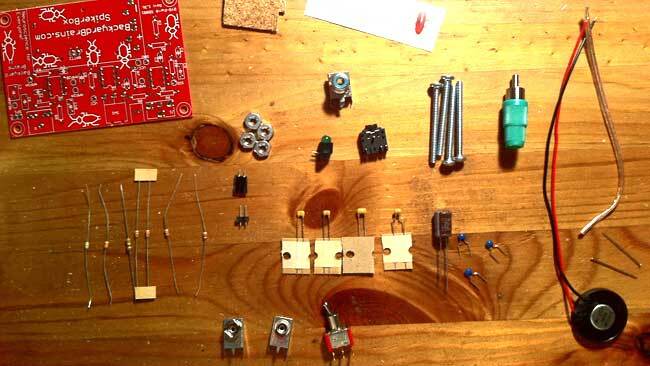 8 Capacitors, 7 Resistors, 1 PCB, 2 cork stickers, 1 logo decal, 2 needles, a speaker, a 1x2 speaker connector, speaker wire, RCA connector, RCA plug, a switch, LED, 2x battery connectors, 1/8 inch (headphone) connector + screws, nuts and enclosure. 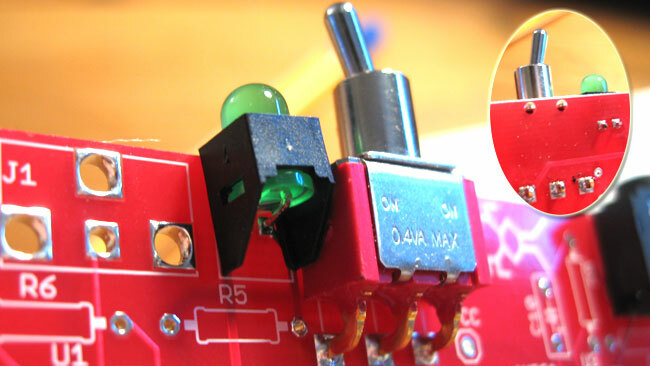 Install the RCA input connector. You might need to forcably push in the connector, but it will go in. Be sure the center wire is through the center hole. 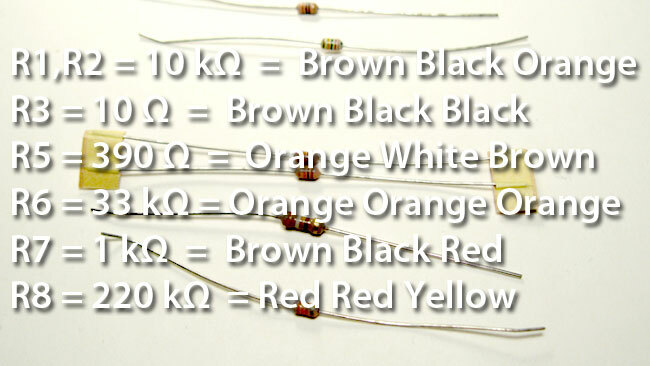 Identify all of the resistors based on the color coding of the resistor stripes. 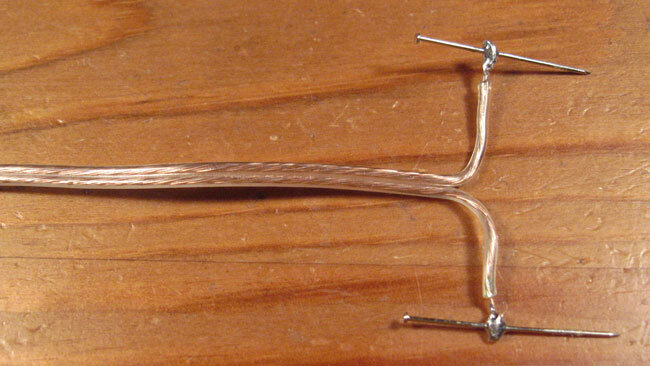 Bend resistor leads, insert into the approriately labeled position, bend leads, solder, and trim. Repeat this step for all 7 resistors. 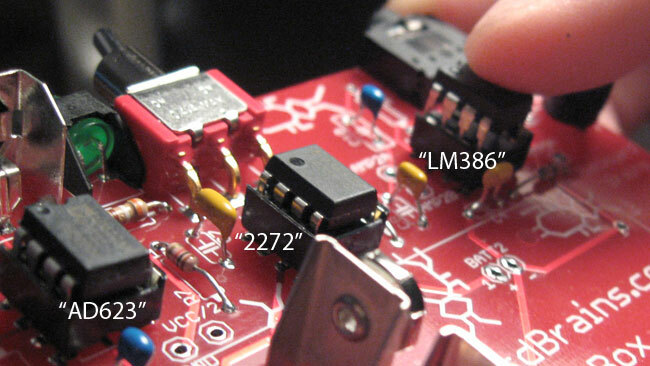 Identify all of the capacitors based on the 3-digit value code that appears on each cap. A magnifying glass helps. Install the 8 capacitors. 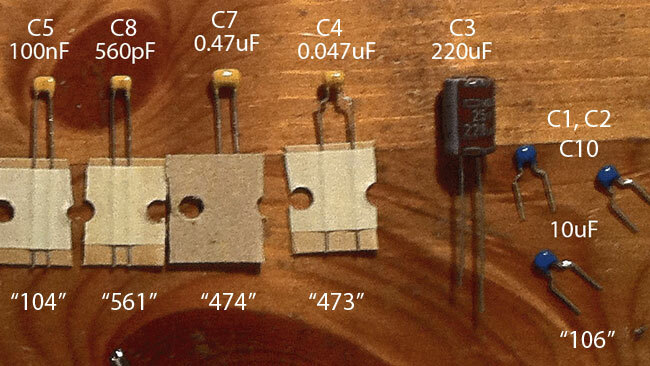 Note that none have a polarity, save for the 220uF cap (c3). This cap needs to have the stripe towards the row of connectors. Install Chip Holders. 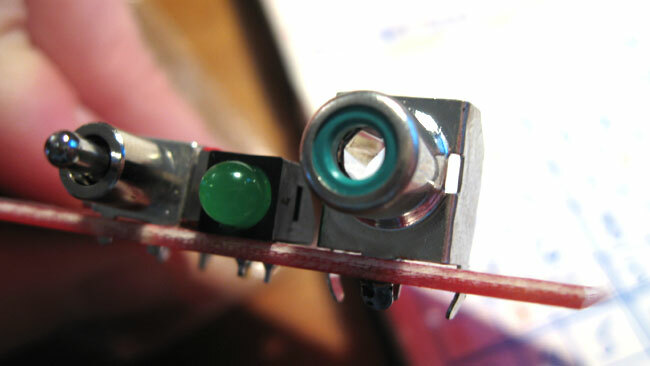 The half circle should point toward the front of the board (where input, switch, LED, and line out are). 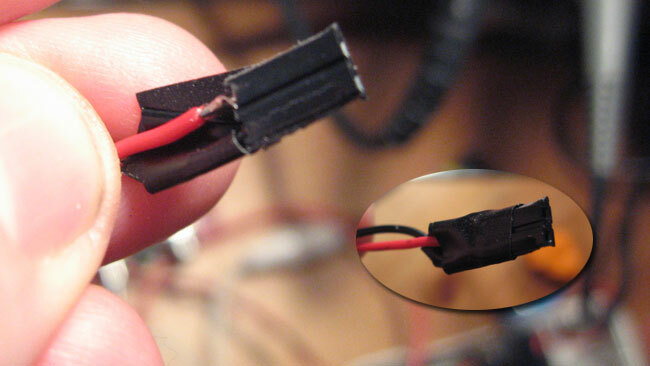 Install the 9V battery connectors. Take care to ensure the two connectors are flush with each other or else the battery will not plug in. 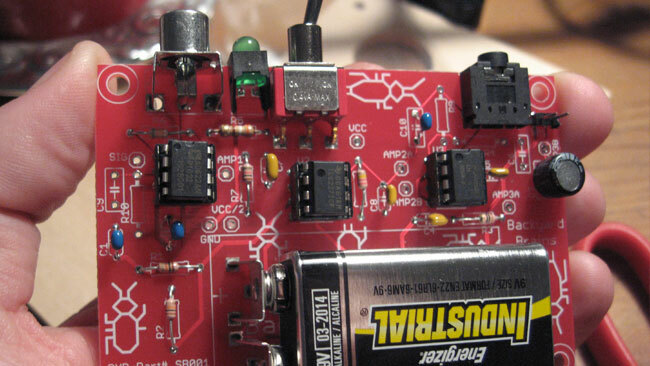 Be careful to align the + and - of the battery, with the + and - on the board. 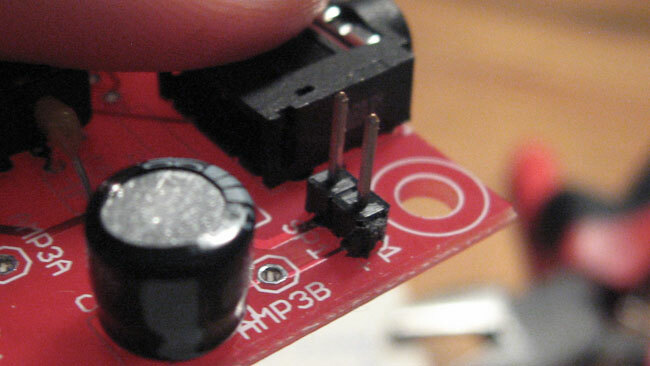 You don't want to cross up the polarity of the 9v. 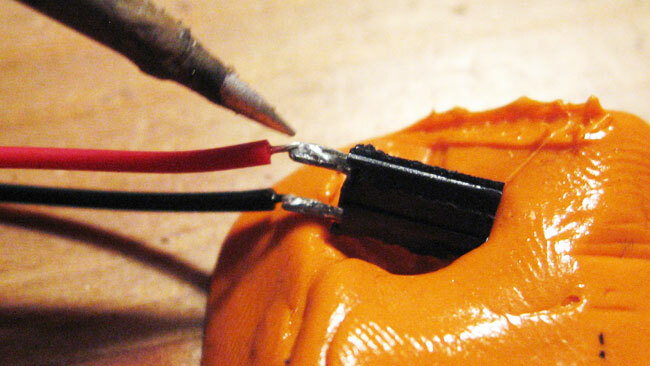 Solder on the Speaker Connector. 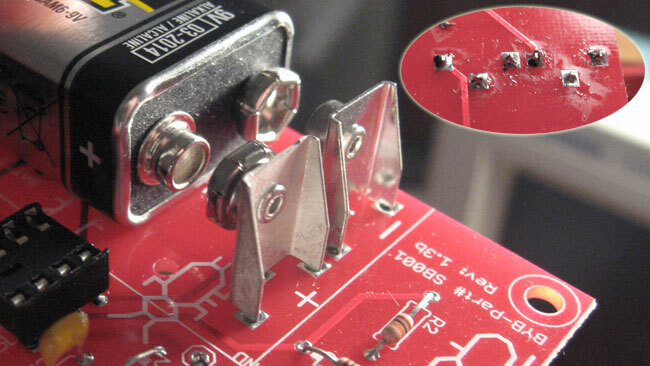 Install Chips in holders, with circle on all chips pointing towards top of board. AD623 goes in left holder, TLC2272 goes in the middle holder, and the LM386 on right holder. 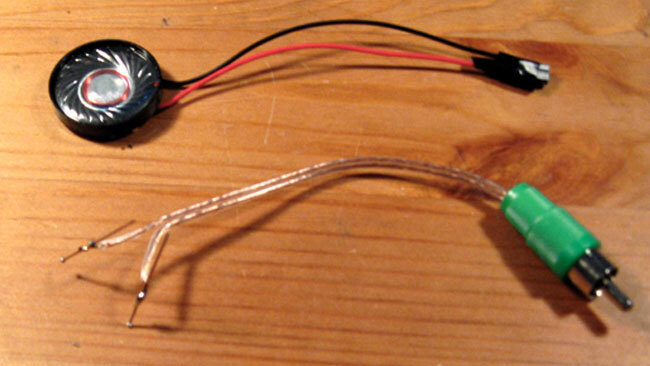 When you are all set, you can install the 9v battery and test if the LED lights up! 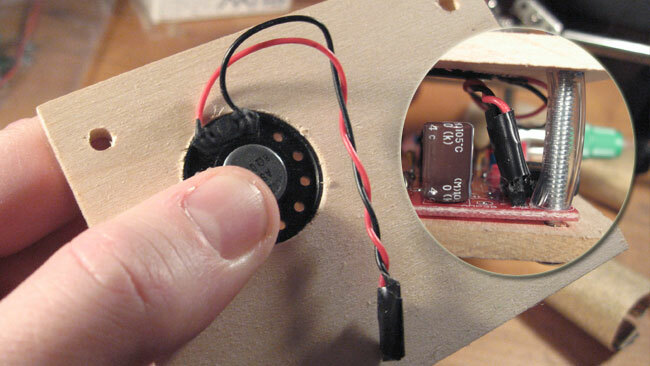 In this module we are going to build the speaker assembly and the recording electrode. 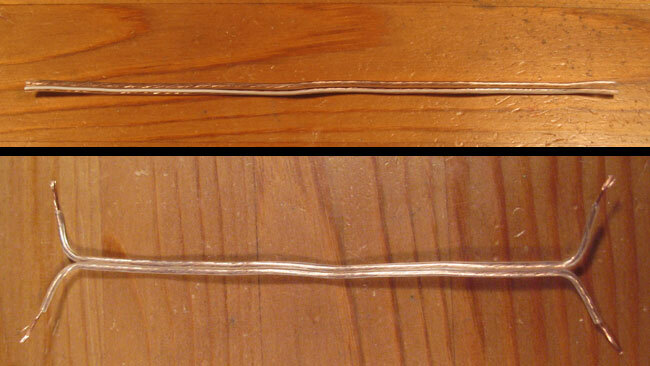 Split and Strip 1/2 inch lengths from the speaker wire on both sides and both ends. 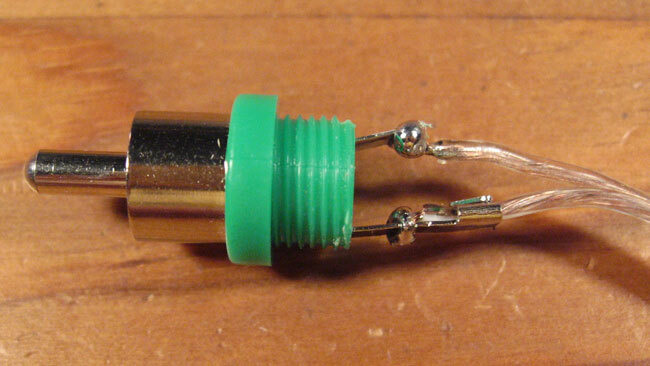 Place wire in eyelets of RCA connector, solder, and crimp where applicable. Take care that the connections are both strong and not touching each other. Rescrew the RCA connector back into place. Sometimes it is good to put some Super Glue here. 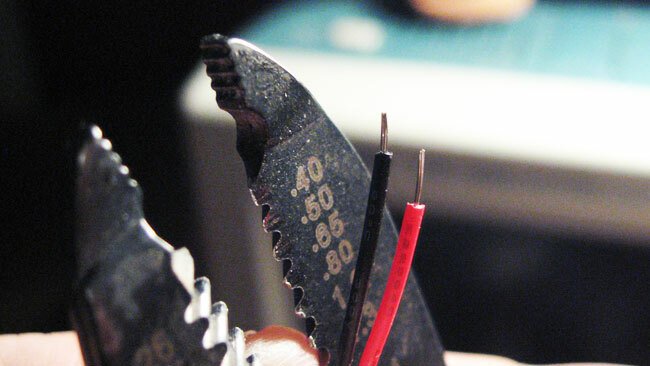 Solder two sewing needles on other ends of speaker wire. 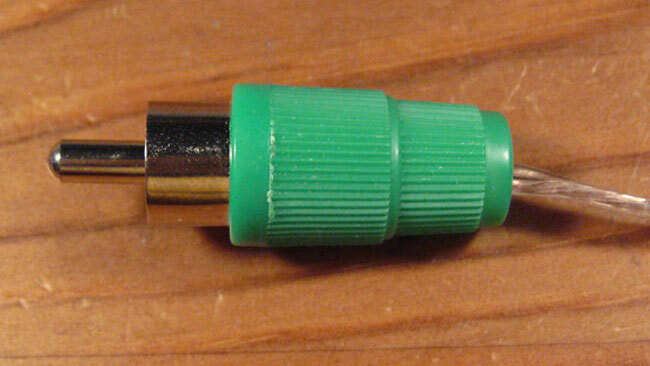 Optionally, you can add heat shrink tubing to the RCA end for stability. 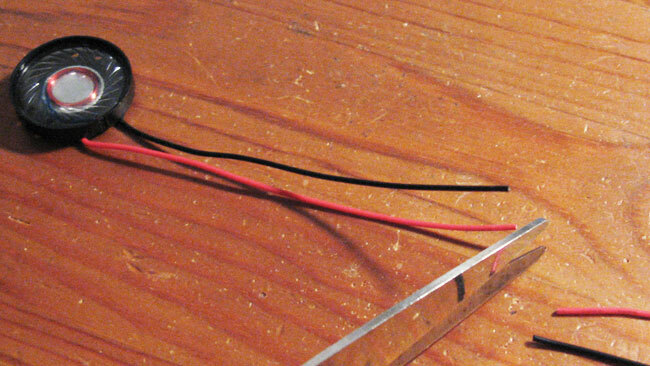 Cut off the last few inches of the speaker wires. Strip the ends of the wires just a little bit. Solder the wires to the 2-pin speaker connector. 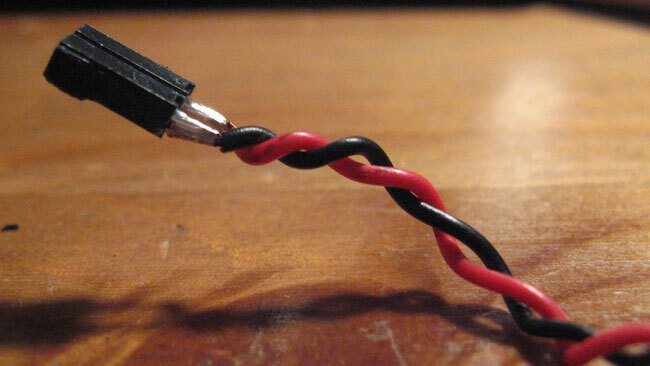 Twist the two wires together. 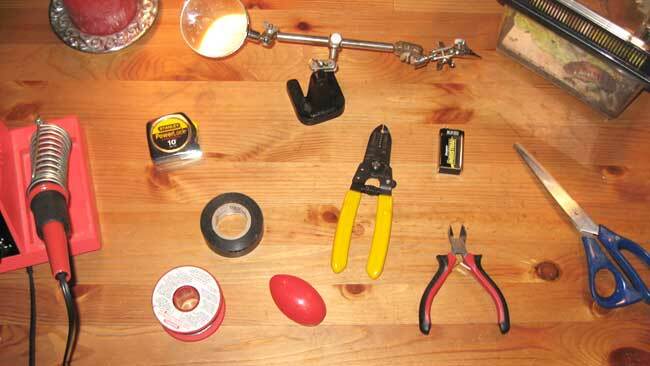 Separate and wrap solder joints away from each other using electrical tape. 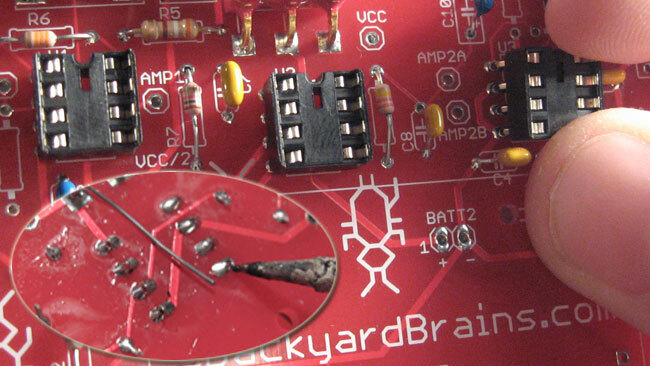 Take care that the two solder joints do not touch. We are ready to put together our final assembly of the SpikerBox. Here we will learn how to make the enclosure, and put all the pieces into place. We are now ready to assemble your SpikerBox! 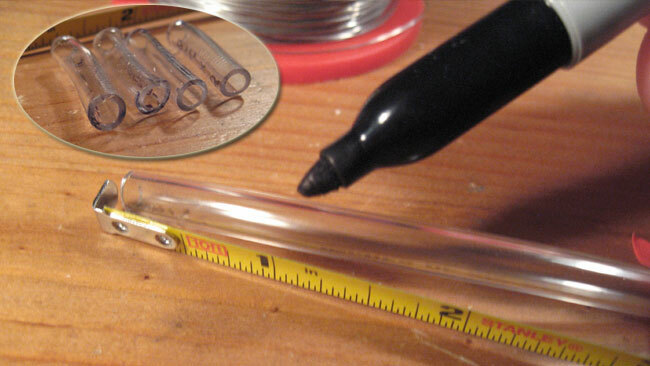 Measure your tubing and cut it into 4 equal parts. Each section should be ~1 inch long. 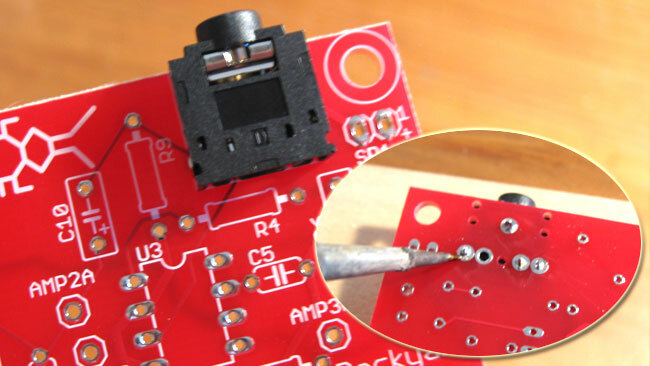 Place the four machine screws into the enclosure board without the speaker hole, turn the board over, and place the assembled PCB over the screws. 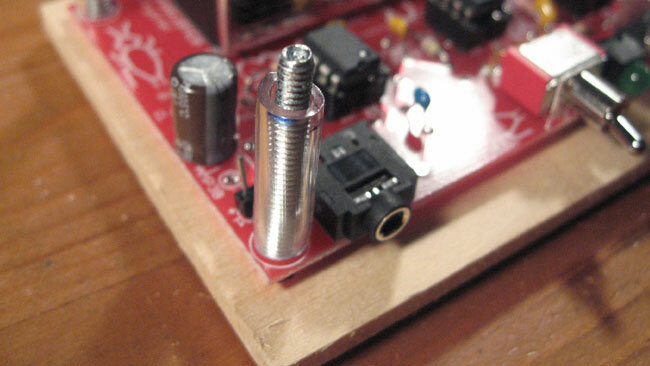 Add the 1 inch tubing to the four screws. 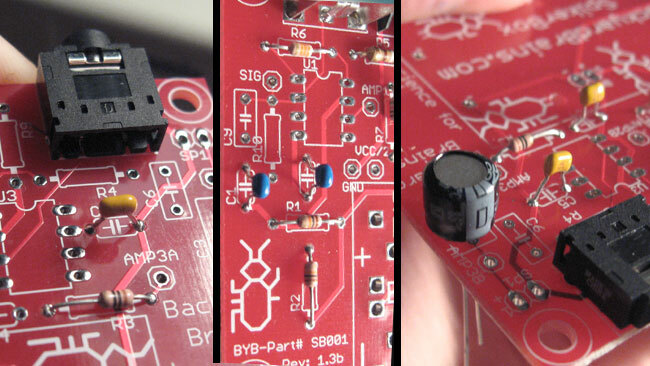 Press the speaker into the enclosure, then attach the female end of the cord to the male end of the PCB. Add the hex nuts to the top of the board. 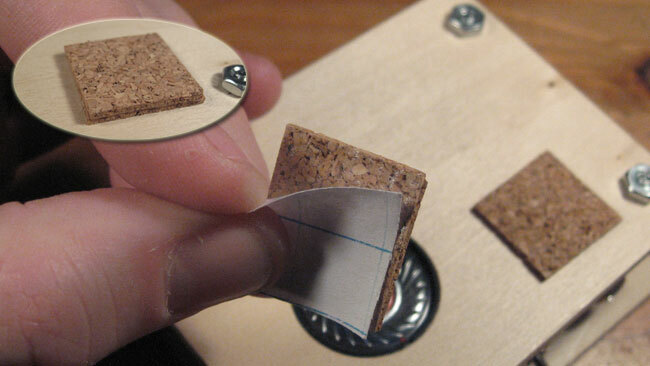 Note that the nuts could go either on the top or bottom of the board. There is an internal struggle here at Backyard Brains on which is better: Nuts up vs. Nuts down. It's your SpikerBox, you decide. 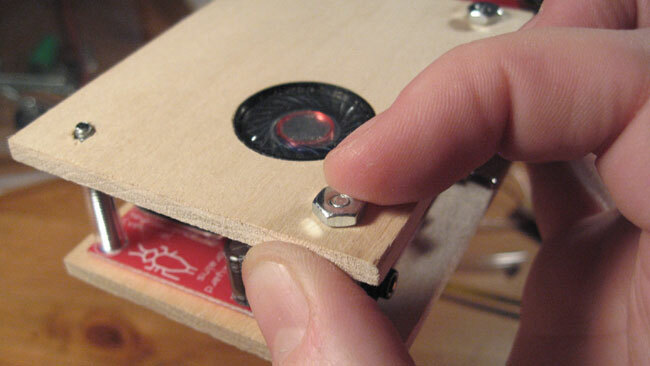 Peel and place the cork stickers to the right of the speaker, close to the RCA jack. You will need to stack up 2 stickers so that the cork is thick enough for the needles to stay in place. 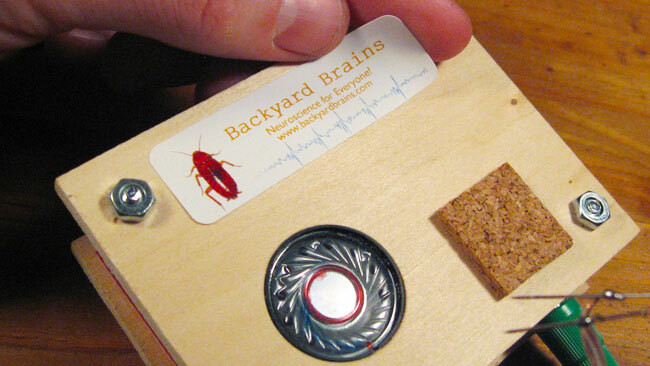 Proudly add the Backyard Brains decal. You are all done. 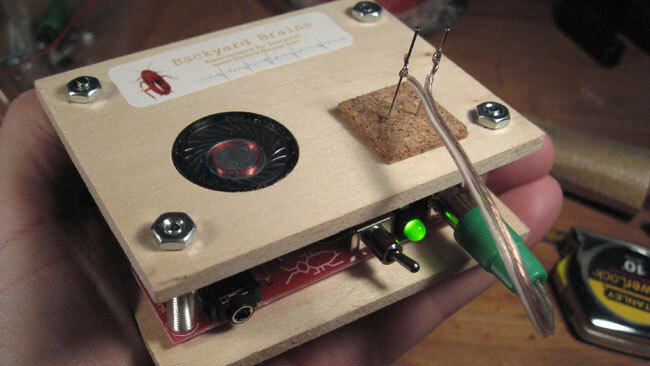 Add your recording electrode to the RCA plug and turn on your SpikerBox. You should hear a 'click' from the speaker if everything is working! Grab your favorite invertabrate and let the neuroscience begin!